2017 Digital Graffiti Preparty - Burwell Associates, Inc. 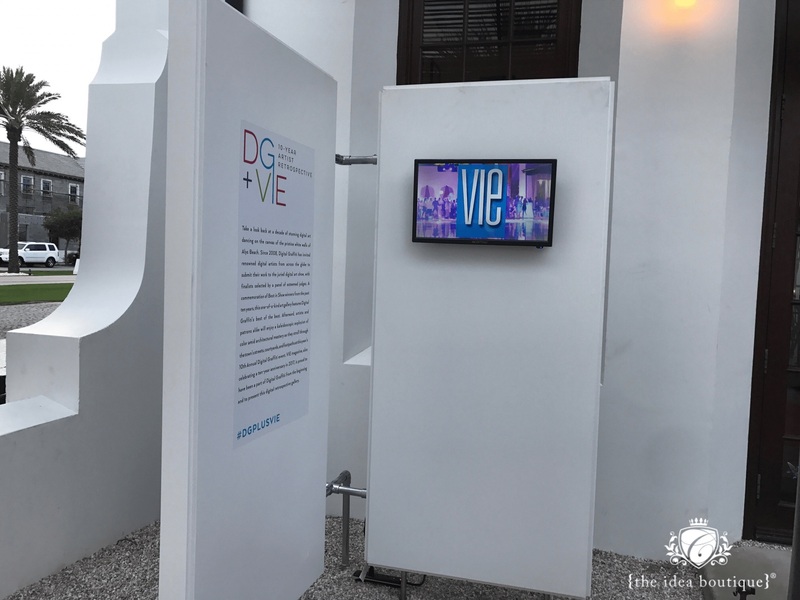 In 2017, VIE magazine contracted with Alys Beach in Walton County, Florida, to sponsor and host the Digital Graffiti preparty at Fonville Press—the town’s local coffee shop and bookstore. This New Urbanist town’s signature Bermuda-style architecture and pristine white walls have been the backdrop for Digital Graffiti—claimed to be the first light projection art festival in the country—each year since 2008. 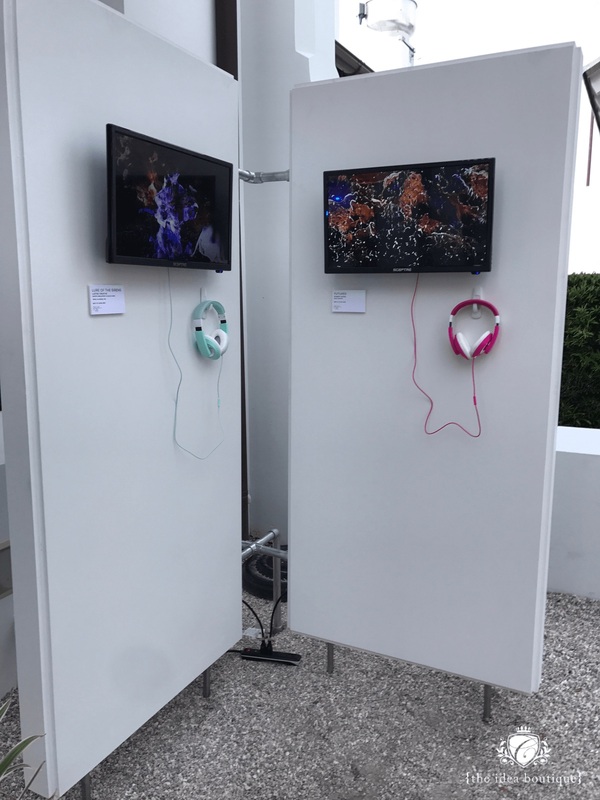 The 2017 Digital Graffiti was of particular importance as it marked the ten-year anniversary of the art festival, and Alys Beach requested that VIE’s preparty event incorporate a creative display of winning artwork from current and past festivals. The Challenge: To come up with a design to complement VIE’s progressive brand and the clean, pristine lines of Alys Beach’s architecture. 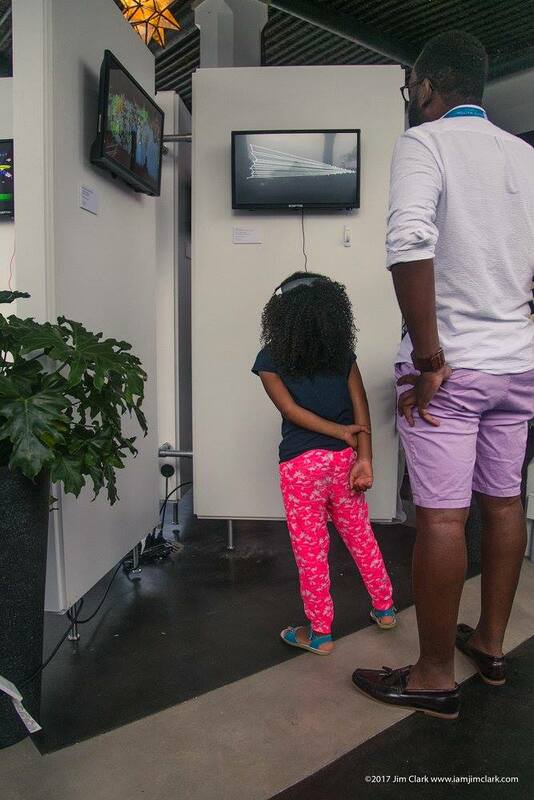 Moreover, time constraints for the installation’s setup and breakdown had to be taken into consideration as access to the venue was limited both before and after the event. The modest budget would not allow for even a small team of woodworkers and painters to construct and deconstruct displays on-site. 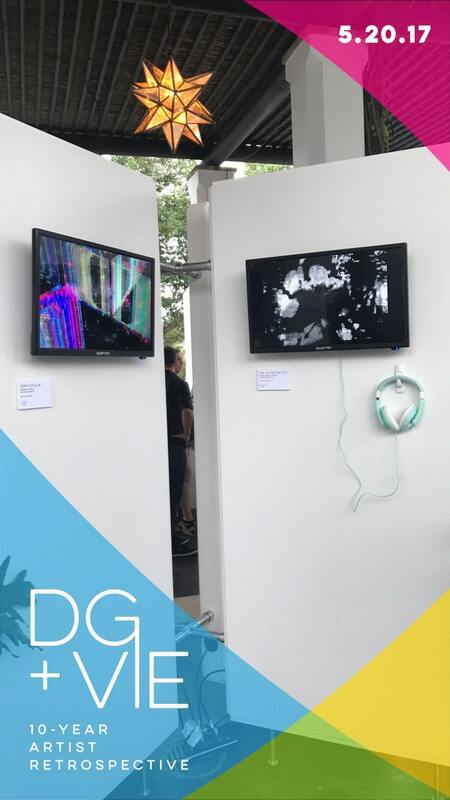 Additionally, there were custom graphics to be applied to the displays that required a controlled environment and a defined schedule for installation. 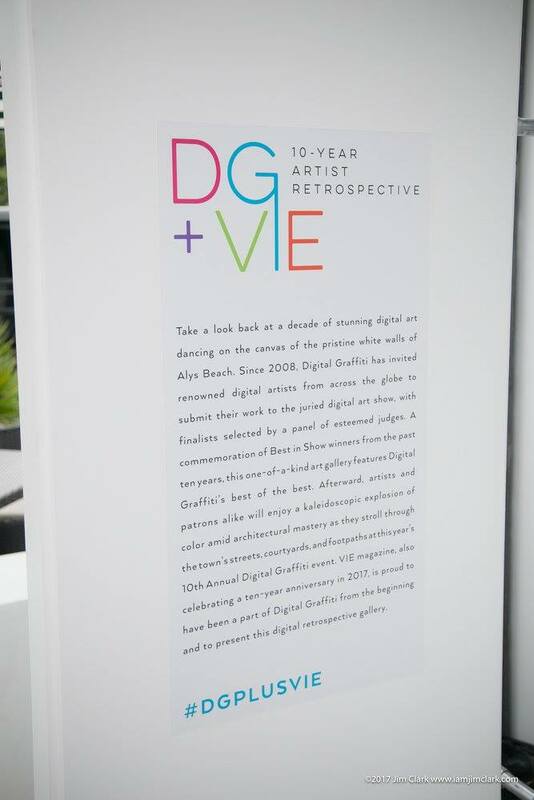 The Solution: Burwell Associates worked closely with VIE’s creative staff to incorporate an innovative way to display the digital work of ten artists throughout the party venue. 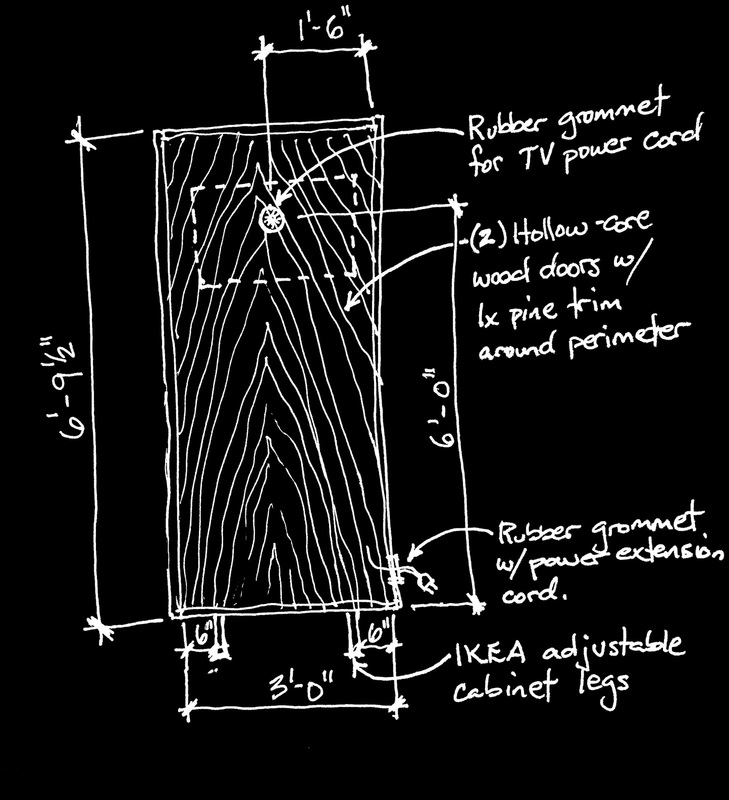 Once a concept was agreed upon for the locations of the displays, it was our job to design the displays and a method for production. 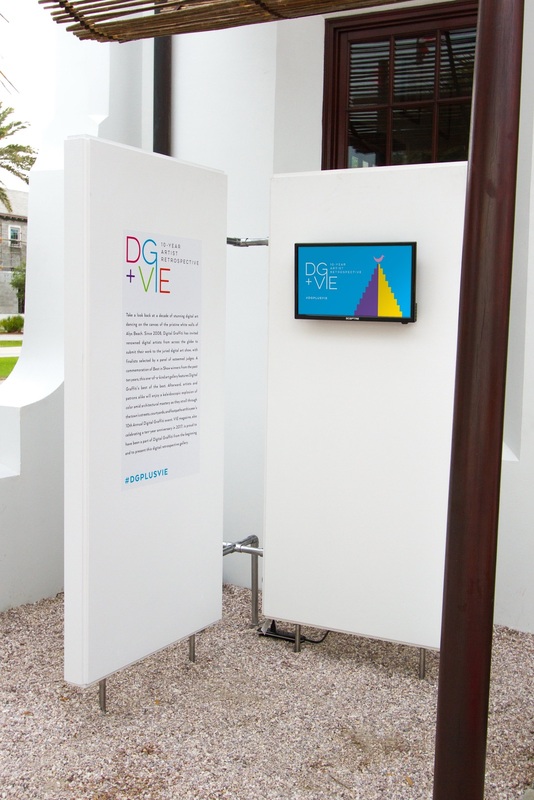 The resulting design used simple white museum-quality panels with an equally simple but modern-looking system of connectors that allowed the displays to be completed and tested, graphics and all, well in advance of the event. 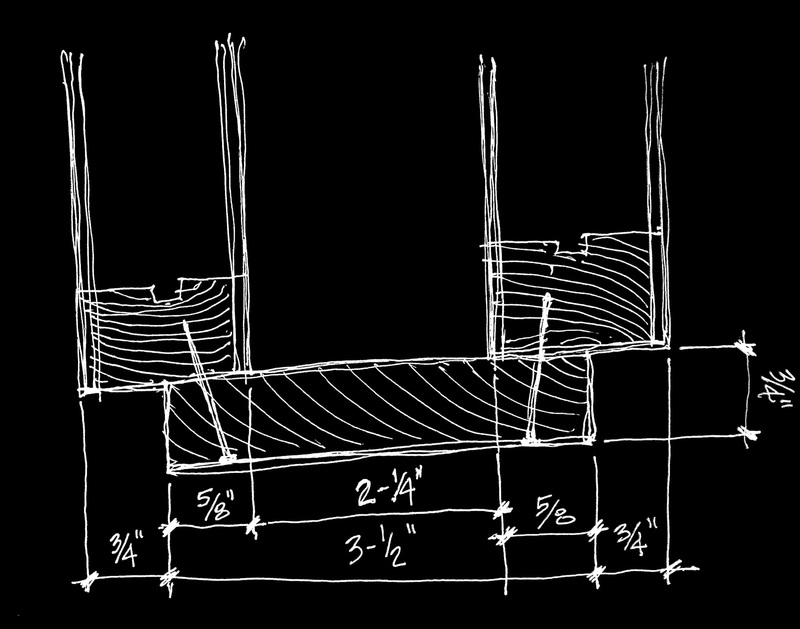 The panels were lightweight and ultrasimple to assemble, requiring only two people for installation and breakdown. The cost for the entire display system—including materials, labor, and electronics—was approximately $3,000–$3,500.